Flight duration approximately 40 minutes. This flight is for those who want to taste the finer things in life. Fly over New Plymouth City, via the Port and Sugar Loaf Islands before heading out to Oakura. We land on the cliff top at Okurukuru Winery, allowing you the time to eat a beautifully prepared meal, with the Kaitake Ranges as your background, and the Tasman Sea as your horizon. Please Note: Meal not included in price of flight. Winery booking essential. One stop off. Allow 2 hours. The price is for the helicopter to do the tour. It seats a maximum of 4 passengers, so up to 4 people can go for this cost. 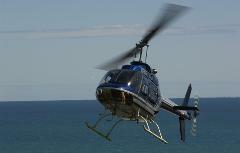 If you wish to book for more than 4 people, it is not a problem, we can simply arrange more helicopters. From their base in New Plymouth Airport, Taranaki, PHL provide superb scenic flights over most areas of Taranaki’s natural beauty. All PHL pilots have good local knowledge. All PHL helicopters have forward facing seats so every passenger can see through the front. In many cases, the helicopter can hover or land to allow you to take in the breath-taking sights and surroundings. Some windows can also be opened for you to capture some amazing unobscured shots from the air. Experience a whole new world and thrills that you've never experienced before! Before boarding your flight, you will be given a comprehensive safety briefing. Safety is paramount to Kiwi Tours Ltd & PHL. PHL operate under a CAA audited exposition. 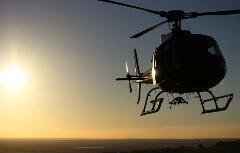 All PHL helicopters are safe, modern and reliable and maintained by two external accredited maintenance providers. PHL pilots are highly experienced. Besides passenger air transport, each pilot is also involved with our industrial and agricultural helicopter based services. Rest assured you will be flying in very safe hands!